Muluridji wins Interhouse Athletics Carnival! Congratulations to Muluridji, winners of the St Stephen’s Interhouse Athletics Carnival. 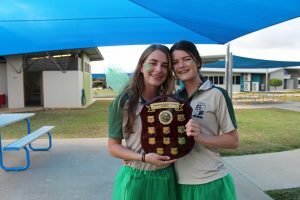 Pastoral House Leaders, Zoe Quintieri and Ella Ryan are pictured with the Shield. The Great Wheelbarrow Race Team Donates Funds! The Great Wheelbarrow Race Team presented a cheque to the Mareeba Friends of the Hospital Foundation this morning at Assembly. 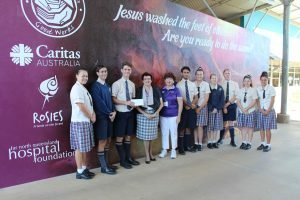 Representatives from the Foundation, Cr Angela Toppin and Mrs Robyn Boundy were invited to Assembly and accepted the cheque from the team. 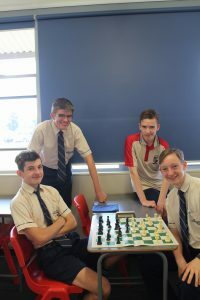 Congratulations to Iago Roche-Maxwell, the winner of this semester’s Harnischfeger Cup for the St Stephen’s Interschool Chess Competition. The first round of the Bill Turner Cup was today played at Borzi Park, Mareeba. 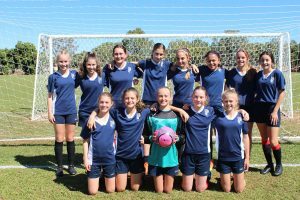 Both teams won their games against Mareeba State High School, with the girls winning 2-0 and the boys winning 6-0. 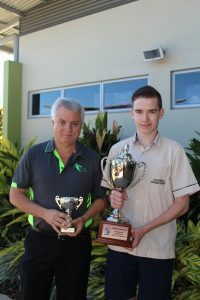 Year twelve student, Sam Daniell, recently competed at the Plain English Speaking Competition at St Monica’s – Cairns. 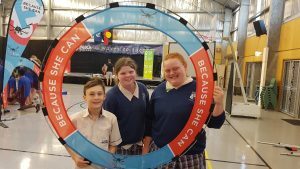 Sam was the overall winner and will now compete at the State Finals in Brisbane in July. 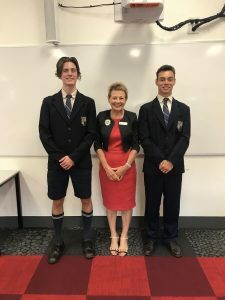 Congratulations to Sam and to Joshua Kievit, also in year twelve, for participating in the competition also. 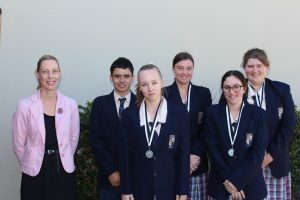 Congratulations to the St Stephen’s Catholic College Mooting Team, who placed second at the recent Tablelands Moot Competition. The team won their case with the defendant being found guilty. Sincere thanks to our mentors Sergeant Jeff Killick and Senior Constable Deb Nagy.